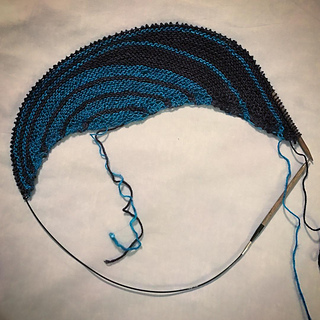 I had yarn left, so I added another full repeat of the stripe pattern and just squeaked by with enough of Azurite, had to dip into the next ball of Upton - there’s still more than enough left for another project. 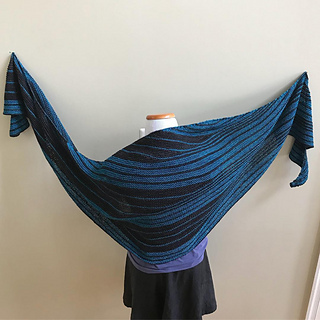 This was a fun, interesting knit; the stripes and the short rows kept it from being boring while the garter stitch made it uncomplicated enough to take to knitting meetups and binge watch Mindhunters. Five stars, would make again or try another of Lisa’s patterns!